Faruq Z. Bey was an American jazz saxophonist and composer from Detroit, Michigan. Bey was known for his work with Griot Galaxy, which played distinct compositions, often by Bey. Odd meters and polyrhythms were a frequent feature of the group's tunes, which would give way to free sections. Originally started in 1972, Griot Galaxy settled into its most stable line-up around 1980, when Bey was joined by saxophonists David McMurray and Anthony Holland, as well as bassist Jaribu Shahid and drummer Tani Tabbal. Griot Galaxy played at the 1983 Detroit Montreux Jazz Festival, and toured Europe in the mid-1980s. A TD is a member of Dáil Éireann, the lower house of the Oireachtas. It is the equivalent of terms such as 'Member of Parliament' (MP) or 'Member of Congress' used in other countries. The official translation of the term is 'Deputy to the Dáil', although a more literal translation is "Assembly Delegate". Avraham Botzer was the Commander of the Israeli Navy between 1968 and 1972. The Israeli Navy is the naval warfare service arm of the Israel Defense Forces, operating primarily in the Mediterranean Sea theater as well as the Gulf of Aqaba and the Red Sea theater. The current commander in chief of the Israeli Navy is Aluf Eli Sharvit. The Israeli Navy is believed to be responsible for maintaining Israel's offshore nuclear second strike capability. Adolfo Calero Portocarrero was a Nicaraguan businessman and the leader of the Nicaraguan Democratic Force, the largest rebel group of the Contras, opposing the Sandinista government. Carol Ann Abrams was an American television and film producer, author and academic. 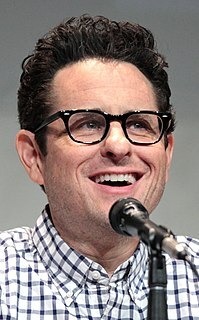 Abrams and her husband, television producer Gerald W. Abrams, are the parents of film director and producer J. J. Abrams, and screenwriter Tracy Rosen. The Ernest Green Story is a 1993 made-for-television movie which follows the true story of Ernest Green and eight other African-American high-school students as they embark on their historic journey to integrate Little Rock Central High School in Little Rock, Arkansas, in 1957. The film was developed and executive produced by Carol Ann Abrams. Much of the movie was filmed on location at Central High School. Peter Jamieson Beaven was a New Zealand architect based in Christchurch, who lived for his last few months in Blenheim. He was a co-founder of New Zealand's first heritage lobby group, the Civic Trust. Jagadish Chandra Bhattacharyya, also known as J.C. Bhattacharyya was an Indian professor well known for his contributions in experimental astrophysics. He became the director of the Indian Institute of Astrophysics in 1982. Bobby Black was a Scottish footballer from Thornhill, Dumfries and Galloway who played for East Fife and Queen of the South and was also capped by the Scottish League. Black later was an all England bowls champion. Carl Beverly "Bev" Bledsoe was a retired Colorado state politician, representing the Eastern Plains counties of Colorado in the state House of Representatives. He served as Speaker of the Colorado House of Representatives from 1981 to 1991, making the longest tenured speaker ever in the state's history. Adrien Poliquin, 83, Canadian Olympic wrestler. Jiří Siegel, 85, Czech Olympic basketball player. Robert Zimmermann, 77, Swiss Olympic bobsledder. Filemón Camacho, 85, Venezuelan Olympic athlete. Włodzimierz Sokołowski, 71, Polish Olympic athlete. ↑ Baranek, Eddie. "Detroit jazz and avant scenes lose icon in passing of Faruq Z. Bey". Blogs.metrotimes.com. Retrieved June 13, 2012. ↑ Email Us (2 June 2012). "Late ceann comhairle a Fianna Fáil 'stalwart'". The Irish Times. Retrieved 13 June 2012. ↑ Staff. "Zomrel exposlanec Milan Gaľa" (in Polish). Spravy.pravda.sk. Retrieved 1 September 2012. ↑ "NOTED PHARMACOLOGIST AND ADDICTION EXPERT AVRAM GOLDSTEIN DIES AT 92". States News Service. 7 June 2012. Archived from the original on 12 October 2013. Retrieved 7 October 2012. ↑ "American bomber pilot Major Nick Knilans dies at 94". London: Telegraph. 2012-06-27. Retrieved 2013-06-09. ↑ David R. Baker (2012-06-04). "Marion Sandler, ex-CEO of Golden West, dies". Sfgate.com. Retrieved 2012-06-13. ↑ "Jörg Schmeisser: profile". Design and Art Australia Online. Retrieved 30 August 2018. ↑ Magnier, Mark (2 June 2012). "Brahmeshwar Singh, India upper-caste militia leader, slain". latimes.com. Retrieved 13 June 2012. ↑ "Bishop Juozas Tunaitis". Catholic-Hierarchy.org . David M. Cheney. Retrieved 21 January 2015. ↑ מת האלוף אברהם (צ'יטה) בוצר – מדיני-ביטחוני – הארץ. Haaretz (in Hebrew). Retrieved 13 June 2012. ↑ "BBC Russian – В мире – В Никарагуа скончался бывший лидер "Контрас"". Bbc.co.uk. Retrieved 13 June 2012. ↑ Staff (2012-06-03). "'Family Feud' host Richard Dawson dies at 79". Latimesblogs.latimes.com. Retrieved 2012-06-13. ↑ "Former NBA player LeRoy Ellis passes away". wbir.com. 2012-06-03. Retrieved 2012-06-13. ↑ "Former Delta CEO Dave Garrett dies". Atlanta Business Chronicle. Retrieved 2012-06-13. ↑ "Jan Gmelich Meijling (76) overleden" (in Dutch). Nu.nl. Retrieved 13 June 2012. ↑ Slezak, Michael (2012-06-02). "Actress Kathryn Joosten Dead at 72from lung cancer". TVLine. Retrieved 2012-06-13. ↑ "Barry "Frazier Mohawk" Friedman obituary". Legacy.com. 2012-06-02. Retrieved 2012-06-13. ↑ "Suomalainen keihäänheiton ME-mies kuollut" (in Finnish). ltasanomat.fi. 1 July 2012. ↑ Staff (4 June 2012). "Oliver the chimp dies at Texas refuge". Azcentral.com. Retrieved 13 June 2012. ↑ "ASI Mourns the Loss of Dr. Genichi Taguchi, Japanese engineer and statistician". Asiusa.com. 2012-03-28. Archived from the original on 2012-10-19. Retrieved 2012-06-26. ↑ "Film producer Carol Ann Abrams dies". Variety. 2012-06-05. Retrieved 2012-06-13. ↑ Fox, Margalit (7 June 2012). "Rosa Guy, Author of Forthright Novels for young people". The New York Times. ↑ "Jazz saxophonist Andy Hamilton dies". Bbc.co.uk. 2012-06-03. Retrieved 2012-06-13. ↑ "NÉCROLOGIE: L'ancien chef juge Rajsoomer Lallah n'est plus" (in French). Le Mauricien. 2012-06-04. Archived from the original on 2016-01-19. Retrieved 2012-06-13. ↑ "Alphonse Le Gastelois dies". Bbc.co.uk. 7 June 2012. Retrieved 13 June 2012. ↑ Staff (11 June 2012). "The Very Rev John Lang, British Anglican priest, Dean of Lichfield, and broadcaster, dies". London: Telegraph. Retrieved 2012-06-13. ↑ Staff (2012-06-09). "Obituary for Mary Perry, American Olympic volleyball player". Articles.latimes.com. Retrieved 2012-06-13. ↑ "Hugh Poole, one of the hard men of NZ Yachting, dies". Sail-World.com. Retrieved 13 June 2012. ↑ "RICHARD Jean-Louis" (in French). Les gens du cinéma. Retrieved 15 June 2012. ↑ "Le Mans Winner Roy Salvadori Dies Aged 90". Formula-one.speedtv.com. 3 June 2012. Archived from the original on 7 June 2012. Retrieved 13 June 2012. ↑ Alex Fensome (3 June 2012). "Sir Brian Talboys, Former NZ Deputy PM Dies". Stuff.co.nz. Retrieved 13 June 2012. ↑ "Oud-commissaris Roel de Wit overleden" (in Dutch). Telegraaf.nl. 4 June 2012. Retrieved 13 June 2012. ↑ Anna Turner, Rachel Young And David Killick. "Peter Beaven dead: tributes flow for top architect". Stuff.co.nz. Retrieved 13 June 2012. ↑ "Ex-Director of institute of astrophysics passes away". The Hindu. Chennai, India. 5 June 2012. Retrieved 13 June 2012. ↑ Staff (6 June 2012). "Queens mourn passing of prolific scorer Bobby Black". Scotsman.com. Retrieved 13 June 2012. ↑ "Ex-Bucks owner Fitzgerald dies at 86". Host.madison.com. 2012-06-04. Retrieved 2012-06-13. ↑ "Bishop Ireneo García Alonso". Catholic-Hierarchy.org . David M. Cheney. Retrieved 21 January 2015. ↑ "Businessman Barney Gibbens dead". TechMarketView. Retrieved 13 June 2012. ↑ "Bernard Jean s'est éteint" (in French). Radio-Canada.ca. Retrieved 2012-06-13. ↑ mouseclubhouse (2012-06-06). "Disneyland Art Director Stan Jolley passes away". Mouseclubhouse.blogspot.co.uk. Retrieved 2012-06-13. ↑ "'Mr. Trololo' Dies in St.Petersburg, Aged 77". En.ria.ru. Retrieved 13 June 2012. ↑ Adam Brookes (2012-06-05). "Al-Qaeda commander Abu Yahya al-Libi killed". Bbc.co.uk. Retrieved 2012-06-13. ↑ Ong, Andrea. "Lim Hock Siew, Singapore's 2nd longest-held political detainee, dies". Straitstimes.com. Retrieved 13 June 2012. ↑ "Guatemala's Cardinal Quezada Toruño dies". Latino.foxnews.com. 4 June 2012. Retrieved 13 June 2012. ↑ "Platters founder Herb Reed dies at 83". Boston.com. 2012-06-05. Archived from the original on 2016-03-04. Retrieved 2012-06-13. ↑ "Fiji legend Philip Snow passes on". The Fiji Times. Retrieved 2012-06-13. ↑ "Skuespiller Per Sunderland er død" (in Norwegian). Vg.no. Retrieved 16 June 2012. ↑ Lynn Bartels (5 June 2012). 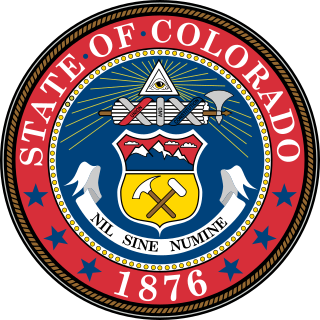 "Bev Bledsoe, longtime Colorado House speaker, dies at age 88". The Denver Post. Retrieved 2012-06-19. ↑ Staff (2012-06-06). 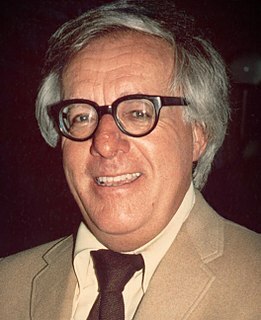 "Science fiction author Ray Bradbury dies". News.yahoo.com. Retrieved 2012-06-13. ↑ Mayers, Joshua (5 June 2012). "Steve Buttle, fan favorite of NASL-era Sounders, dies of cancer at 59". Seattletimes.nwsource.com. Retrieved June 13, 2012. ↑ "John F. Hinrichs obituary". Legacy.com. Retrieved 2012-06-13. ↑ "Hon David H Hodgson, AO, QC dead (1939–2012)". Archive.nswbar.asn.au. 6 June 2012. Archived from the original on 24 October 2013. Retrieved 13 June 2012. ↑ "Doctor Who actress Caroline John dies aged 72". BBC. 2012-06-21. Retrieved 2012-06-21. ↑ "Former Seattle Mariners GM, Texas Rangers executive Hal Keller dies at 84". Espn.go.com. 2012-06-05. Retrieved 2012-06-13. ↑ "Lucky, dog most photographed with celebs, dies from cancer". Today.msnbc.msn.com. 2012-06-06. Retrieved 2012-06-13. ↑ Staff (5 June 2012). "Actor Athinodoros Prousalis Passes Away at 86". Greece.greekreporter.com. Retrieved 13 June 2012. ↑ "AFL great Charlie Sutton dies". Sky News. 5 June 2012. Archived from the original on 30 December 2012. Retrieved 13 June 2012. ↑ "Tributes to ex-Wanderer Chris Thompson". Theboltonnews.co.uk. 8 June 2012. Retrieved 15 June 2012. ↑ Fox, Margalit (7 June 2012). "Barry Unsworth, Historical Novelist, dies at 81". The New York Times. Retrieved 3 July 2013. ↑ "Franco A. Barsotti, 74, photography professor embraced digital age". Suntimes.com. Retrieved 2012-10-14. ↑ "وداعا أستاذي الفاضل ذا اللهجة الصعيدية". Dar.akhbarelyom.org.eg. Archived from the original on 16 June 2012. Retrieved 20 June 2012. ↑ "Lillian Gallo, Pioneering TV Producer, Dies at 84". The Hollywood Reporter. June 18, 2012. Retrieved June 26, 2012. ↑ 蒋民宽同志逝世 [Jiang Minkuan passes away]. People's Daily (in Chinese). 2012-06-18. Retrieved 2013-08-05. ↑ Martin, Douglas (8 June 2012). "Vladimir Krutov, Wing for Soviet Hockey Teams in the '80s, Dies at 52". New York Times. Retrieved June 8, 2012. ↑ "Tiananmen activist found hanged in Chinese hospital room". Latimesblogs.latimes.com. 2012-06-06. Retrieved 2012-06-13. ↑ "Jean-Louis Loday 1946–2012 The European Mathematical Society". Euro-math-soc.eu. 2012-06-08. Archived from the original on 2013-02-13. Retrieved 2012-06-30. ↑ Wilson, Eric (8 June 2012). "Nolan Miller, Designer of Dynasty Looks, Dies at 79". The New York Times. ↑ "Manolo Preciado dies of heart attack before Villarreal unveiling". London: Dailymail.co.uk. 7 June 2012. Retrieved 13 June 2012. ↑ "Bishop Agostinho José (Benito) Sartori, O.F.M. Cap". Catholic-Hierarchy.org . David M. Cheney. Retrieved 21 January 2015. ↑ Onishi, Norimitsu (20 October 2007). "Prince Tomohito of Mikasa dead". Japan: Nytimes.com. Retrieved 11 November 2012. ↑ "UA-Футбол. Умер Николай Волосянко" (in Ukrainian). Ua-football.com. Retrieved 13 June 2012. ↑ "Allgemeine Zeitung - Mainz-Gonsenheim, im Juli 2012 Walter Becker † 12. Juni 2012 Käthi Becker geb" (in German). Allgemeine Zeitung. 26 December 2012. Retrieved 2 January 2013. ↑ Douglas Martin (June 14, 2012). "F. Herbert Bormann Dies at 90; Helped Discover Acid Rain Threat". The New York Times . ↑ Jones Jr., Royston (8 June 2012). "PLP Co-founder William Cartwright Dies at 89". Nassau Guardian. Retrieved 1 July 2012. ↑ Mark Di Ionno. "John T. Cunningham, historian, 96, dies after lifetime of spinning Garden State stories". Blog.nj.com. Retrieved 2012-06-13. ↑ "David Staff". Professional Cricketers' Association . Archived from the original on 2017-06-22. Retrieved 19 June 2012. ↑ Chris Elliott. Much-loved former college master dies, Cambridge News, 16 June 2012. ↑ 他深爱故乡金华他崇拜英雄岳飞 (in Chinese). news.163.com. Retrieved 2012-06-13. ↑ Nathan Dominitz (June 21, 2012). "Friends remember former Beach star Mervin Jackson". Savannah Morning News. ↑ Stevens, Alexis (2012-06-08). "Cops seek 2 suspects in shooting death of Lil Phat". ajc.com. Retrieved 2012-06-13. ↑ "Saddam Hussein's presidential secretary executed: Voice of Russia". 7 June 2012. Archived from the original on 6 July 2013. Retrieved 13 June 2012. ↑ Miller, Stephen (2012-06-08). "Ex-Wachovia CEO John Medlin Dies at 78". Online.wsj.com. Retrieved 2012-06-13. ↑ Bob Pockrass. "NASCAR pioneer Cotton Owens dies at age 88". Aol.sportingnews.com. Retrieved 2012-06-13. ↑ Dickey, Josh L. (2012-06-07). "'Django' prod'n designer Riva dies at 63". Variety. Retrieved 2012-06-13. ↑ Thompson, Colin (8 June 2012). "Cricket legend Rupert Scotland dies". The Royal Gazette . Retrieved 26 March 2013. ↑ "Charlie Share dies; captain of the 1958 Hawks team that won NBA title". Stltoday.com. 2012-06-09. Retrieved 2012-06-13. ↑ "Static co-writer Robert L. Washington III passes away". Robot6.comicbookresources.com. Retrieved 2012-06-15. ↑ "Bob Welch, Pop Singer and Guitarist, Is Dead". NYTimes.com. 2012-06-07. Retrieved 2012-11-11. ↑ "Luis Aloy Vidal ha fallecido a sus 82 años" (in Spanish). Vavel.com. 9 June 2012. Retrieved 13 June 2012. ↑ Kyodo News (18 June 2012). 作家の赤江瀑さんが死去　「オイディプスの刃」など (in Japanese). 47News. Archived from the original on 20 June 2012. Retrieved 19 June 2012. ↑ "Pete Brennan, Tar Heel Legend, Dies At 75". Chapelboro.com. Archived from the original on 2012-06-14. Retrieved 2012-06-13. ↑ Noland, Claire (10 June 2012). "'Green Acres' actor Frank Cady dies at 96". latimes.com. Retrieved 2012-06-13. ↑ "Kannada film director KSR Doss passes away". Ibnlive.in.com. 9 June 2012. Retrieved 13 June 2012. ↑ "Bengt Fröbom Olympic Results". sports-reference.com. Retrieved 27 December 2012. ↑ "Le gaulliste Robert Galley est décédé" (in French). Lexpress.fr. 8 June 2012. Retrieved 13 June 2012. ↑ Телеканал "Санкт-Петербург" - Новости - В СПб скончался чемпион по академической гребле Иванов (in Russian). Topspb.tv. Retrieved 13 June 2012. ↑ "Ivan Lessa morre aos 77 anos em Londres" (in Portuguese). Bbc.co.uk. Retrieved 2012-06-13. ↑ "Pat Mahoney, Canadian businessman, politician, and judge, dies". Parl.gc.ca. Retrieved 2012-06-13. ↑ "Australian killed in NZ car accident". Au.news.yahoo.com. Archived from the original on 30 June 2013. Retrieved 13 June 2012. ↑ "Dean of Journalists and Veteran Politician Ghassan Tueni Dies". Naharnet.com. 2012-06-08. Retrieved 2012-06-13. ↑ "Hans Abramson". The Swedish Film Database. Retrieved 2014-02-28. ↑ "German pop singer Audrey Arno obituary". Obits.reviewjournal.com. 9 June 2012. Retrieved 30 June 2012. ↑ "L'ex-coureur cycliste Régis Clère est mort à Dijon" (in French). Bourgogne.france3.fr. Retrieved 13 June 2012. ↑ Walmsley, Andy (13 June 2012). "Don Durbridge dead at 73". Andywalmsley.blogspot.co.uk. Retrieved 23 June 2012. ↑ 写真家の深瀬昌久さん死去　「洋子」「鴉」など. asahi.com (in Japanese). Retrieved 9 July 2012. ↑ Kennedy, Randy (2012-06-17). "Paul Jenkins, Painter of Abstract Artwork, Dies at 88". The New York Times. Retrieved 2012-06-19. ↑ "Former Conservative MP and minister John Maples dies at age 69". Bbc.co.uk. 11 June 2012. Retrieved 13 June 2012. ↑ "Slovenian poet Ivan Minatti dead at 88". Sta.si. Retrieved 13 June 2012. ↑ Γιάννης Ζουμπουλάκης. ΤΟ ΒΗΜΑ - Πέθανε η συγγραφέας Ζωρζ Σαρή - πολιτισμός (in Greek). Tovima.gr. Retrieved 13 June 2012. ↑ "American baseball player Robert "Hawk" Taylor dies". The Southern. Retrieved 2012-06-19. ↑ Monday. "Remembering Trumpeter Abram Wilson". Elementsofjazz.com. Retrieved 2012-06-13. ↑ "E' morto Piero Bellugi, grande interprete di musica classica" (in Italian). Lanazione.it. Retrieved 13 June 2012. ↑ "Bolle, Eivind (1923–2012)". Stortinget.no. ↑ "Baseball: MLB Sports News at wabc". Abclocal.go.com. Archived from the original on 2013-01-24. Retrieved 2012-06-13. ↑ "Man Luv'-zangeres José Hoebee overleden" (in Dutch). Parool.nl. 2012-05-27. Retrieved 2012-06-13. ↑ Roble, Steven M.; Mitchell, Joseph C. (2012). "Obituary : Richard Lawrence Hoffman (1927-2012)" (PDF). Banisteria (40): 5–14. ↑ "Sixten Isberg - Sveriges Olympiska Kommitté" (in Swedish). Sok.se. Archived from the original on 18 April 2013. Retrieved 1 July 2012. ↑ Staff (10 June 2012). "Ex-RI's richest tycoon Liem Sioe Liong passes away". The Jakarta Post. Retrieved 13 June 2012. ↑ "Mort du peintre Georges Mathieu" (in French). Lepoint.fr. Retrieved 13 June 2012. 1 2 "Ministers Saitoti, Ojode killed in chopper crash". nation.co.ke. Retrieved 2012-06-13. ↑ "Former jockey Perrodin dies from cancer at 55". Drf.com. 1979-11-18. Retrieved 2012-06-13. ↑ "Beach volleyball legend Gene Selznick dies in LA". Sportsillustrated.cnn.com. 12 June 2012. Retrieved 2012-06-13. ↑ "Décès de Gérard Théodore, compagnon de la Libération, artilleur à Bir Hakeim" (in French). Lemonde.fr. Retrieved 2012-06-13. ↑ "In grateful remembrance of Hugo Thiemann". www.clubofrome.org. 2012-06-10. Archived from the original on 2012-08-05. Retrieved 2012-11-11. ↑ "Everton's Gordon West Passes Away". Evertonfc.com. Retrieved 13 June 2012. ↑ "Menlo College wrestling pioneer Lee Allen passes away". Palo Alto Online. Retrieved 2012-06-13. ↑ Sanders, Robert (1926-09-18). "Pioneering space physicist Kinsey Anderson has died at 85". Newscenter.berkeley.edu. Retrieved 2012-07-01. ↑ "French writer Hector Bianciotti dies". ahramonline. Retrieved 12 October 2014. ↑ Christensen, Joe. "Baseball player Dave Boswell dies (1945–2012)". Star Tribune. Retrieved 2012-06-13. ↑ "Archbishop Raymond Eid". Catholic-Hierarchy.org . David M. Cheney. Retrieved 21 January 2015. ↑ Staff (2012-06-14). "Anthony Hancock (1947-2012)". Majorityrights.com. Retrieved 2012-09-05. ↑ "Noted Minamata disease authority Masazumi Harada is dead at 77". Japantimes.co.jp. 2012-06-13. Retrieved 2012-06-22. ↑ "Former GOP Rep. Norman Lent Dies at 81". Rollcall.com. Retrieved 2012-06-13. ↑ "Ann Rutherford, actress in 'Gone With the Wind', dies at 94". Latimesblogs.latimes.com. June 11, 2012. Retrieved 2012-06-13. ↑ Gonzalez, David (12 June 2012). "Wayne Roberts, 'Stay High 149' in Graffiti Circles, Is Dead at 61". The New York Times. ↑ Staff (1952-03-29). "Cuban official: Olympic boxer Stevenson dies". sportsnet.ca. Archived from the original on 2012-06-15. Retrieved 2012-06-13. ↑ إغتيال رئيس الاتحاد السوري لكرة القدم سابقا و إصابة زوجته على طريق عمان -دمشق | عكس السير دوت كوم (in Arabic). Aksalser.com. Retrieved 2012-06-13. ↑ "The Passing of Philip H. Corboy". Enewspf.com. Archived from the original on 2012-06-16. Retrieved 2012-06-13. ↑ "Darara dam of four Group 1 winners dies UK Bloodstock News Racing Post". Archived from the original on 2016-02-03. Retrieved 2013-08-22. ↑ "Henry Hill Dead: Real Life 'Goodfellas' Mobster Dies at 69". TMZ.com. 2012-02-27. Retrieved 2012-06-13. ↑ "Former Somalia parliament speaker laid to rest". hayaanpress.net. Archived from the original on 2012-06-21. Retrieved 2012-06-18. ↑ Perkins, Bill (June 19, 2012). "J5477-2011: Mourning the death of civil rights and labor pioneer Dr. Annie B. Martin". New York State Senate. Retrieved 17 July 2012. ↑ "Germany mourns outspoken therapist Mitscherlich". DW.DE. 8 August 2008. Retrieved 14 June 2012. ↑ Daniel Cole (13 June 2012). "Obituary for American economist Elinor Ostrom". London: The Guardian. Retrieved 2012-06-14. ↑ "Gobernador lamenta la muerte de Mercedes Otero". El Nuevo Día (in Spanish). June 20, 2012. Archived from the original on June 23, 2012. ↑ "Fallece Pahíño, histórico goleador del fútbol español" (in Spanish). MARCA.com. Retrieved 2012-06-13. ↑ "Addio a Ronconi, 'vero' vincitore del Tour '47" (in Italian). News.sirotti.it. Archived from the original on 2014-02-03. Retrieved 2012-06-14. ↑ "Frank Walker dies at 69". Sydney Morning Herald . Retrieved 2012-06-13. ↑ "Don Woods Has Lost His Battle With Cancer". www.ktul.com. 2012-06-12. Archived from the original on 2012-06-19. Retrieved 2012-06-13. ↑ Staff. "Writer Erica Kennedy found dead in home". News.yahoo.com. Retrieved 2012-06-18. ↑ Randall, Nicholas (14 June 2012). "Labour Peer Lord Archer dies". London: The Independent. ↑ "Al Brancato, 93, shortstop for the Philadelphia A's". Philly.com. Retrieved 2012-06-17. ↑ "Bob Chappuis dies at 89". espn.go.com. June 15, 2012. ↑ "Mathematician Anadi Shankar Gupta passes away". The Statesman . Kolkata. 14 June 2012. Archived from the original on 22 February 2013. Retrieved 24 June 2012. ↑ "Footy farewells one of its finest as SANFL legend Bob Hank dies". June 14, 2012. ↑ "Passing: Margie Hyams". The Los Angeles Times. June 16, 2012. ↑ "Karl-Heinz Kämmerling ist tot" (in German). www.br.de. 15 June 2012. ↑ حسن کسایی، نوازنده سرشناس نی، درگذشت (in Persian). BBC Persian. Retrieved 14 June 2012. ↑ "Comedian 'Kaka' Radhakrishnan passes away at 86". The Hindu. Chennai, India. 15 June 2012. ↑ "Morre aos 67 anos o cineasta Carlos Reichenbach". G1. Retrieved 14 June 2012. ↑ "Gay Performer Erik Rhodes Dies". AVN. Archived from the original on 2012-06-16. Retrieved 2012-06-14. ↑ Guy Laval; Erich Spitz (June 2012). "In memoriam: Jean Robieux" (in French). French Academy of Sciences. Archived from the original on 2012-02-29. ↑ Soukupová, Jana (14 June 2012). "Zemřel disident a politolog Jaroslav Šabata". Mladá fronta DNES (in Czech). iDnes. Retrieved 24 June 2012. ↑ "Sikatana dies". Lusaka Times. 15 June 2012. ↑ Tramel, Berry (16 June 2012). "Former OU star Jerry Tubbs dies". newsok.com. Retrieved 14 July 2012. ↑ "Moesha star Yvette Wilson dies aged 48". digitalspy. Retrieved 2012-06-14. ↑ "In memoriam Baron Francis Bonaert dies" (in French). Patrimoine-mobilier.be. Archived from the original on 15 January 2013. Retrieved 25 June 2012. ↑ "Phillip David Cagan obituary". Legacy.com. Retrieved 2012-08-31. ↑ "Capitola Cappie Dickerson Obituary". Star-Ledger. June 18, 2012. ↑ "Architekt Günther Domenig verstorben" (in German). steiermark.orf.at. Retrieved 16 June 2012. ↑ "Olympian George Kerr dies at 74". JamaicaObserver.com. Archived from the original on 2012-08-11. Retrieved 2012-06-18. ↑ "Tennis Legend Barry MacKay Passes Away". ATP World Tour. 2011-09-30. Retrieved 2012-06-16. ↑ "Bishop Albino Mamede Cleto". Catholic-Hierarchy.org . David M. Cheney. Retrieved 21 January 2015. ↑ "Ex gobernador de Guerrero Israel Nogueda fallece en la Ciudad de México". Excélsior . 15 June 2012. Retrieved 23 July 2012. ↑ "Carl Julius Norstrøm er død" (in Norwegian). Paraplyen. 2012-06-18. Archived from the original on 2016-02-03. Retrieved 2012-08-28. ↑ "Ex-Sliema forward Tortell dies aged 52". timesofmalta.com. Retrieved 2012-06-18. ↑ "Vanuatu ombudsman Tosusu dies". Radio New Zealand International . 19 June 2012. Retrieved 5 July 2012. ↑ "Archbishop Albert Joseph Tsiahoana". Catholic-Hierarchy.org . David M. Cheney. Retrieved 21 January 2015. ↑ "Arthur Williams Sr. is dead". Jamaica Gleaner. 2012-06-16. Retrieved 2012-08-11. ↑ "Death of TV producer". Hampshirechronicle.co.uk. 9 July 2012. Retrieved 14 October 2012. ↑ MacFarquhar, Neil (16 June 2012). "Nayef bin Abdul Aziz, Saudi Crown Prince Who Led Crackdown on Al Qaeda, Dies at 78". The New York Times. Retrieved June 17, 2012. ↑ "Jaroslava Adamová dies at 87". Czech Radio. 17 June 2012. Archived from the original on 20 July 2012. Retrieved 21 June 2012. ↑ "Mort du cinéaste Giuseppe Bertolucci" (in French). lefigaro.fr. Retrieved 16 June 2012. ↑ James Pollack (June 16, 2012). "Legendary Akron radio host Howie Chizek dies of heart attack at age 65". newsnet5.com. Archived from the original on 2012-06-17. Retrieved June 17, 2012. ↑ "Dan Dorfman, Market-Moving Financial Journalist, Dies at 80". Mobile.bloomberg.com. 1931-10-24. Retrieved 2012-06-18. ↑ "Nils "Mora-Nisse" Karlsson död". DN.se (in Swedish). 16 June 2012. Retrieved 16 June 2012. ↑ "Mexican banker Jorge Lankenau dies at 68". Fox News Latino. 17 June 2012. Retrieved 17 June 2012. ↑ "Generał Sławomir Petelicki nie żyje. Policja: To prawdopodobnie samobójstwo" (in Polish). Wyborcza.pl. Retrieved 17 June 2012. ↑ Pople, Laetitia (19 June 2012). "Stil, verbeeldingryke Pinker sterf op 87". Die Beeld (in Afrikaans). Retrieved 20 June 2012. ↑ "À l'image de Larqué, le monde pleure Thierry Roland" (in French). lefigaro.fr. Retrieved 16 June 2012. ↑ Odam, Matthew. "Actress Susan Tyrrell dies". Austin360.com. Retrieved 2012-06-18. ↑ "700 Meter in Tiefe gestürzt: Skibergsteiger Stéphane Brosse stirbt im Wallis" (in German). Blick.ch. Retrieved 18 June 2012. ↑ "南豐集團創辦人陳廷驊病逝". Ming Pao Daily News. AP. 17 June 2012. Archived from the original on 20 June 2012. Retrieved 17 June 2012. ↑ "Obituary for Canadian mathematician Nathan Divinsky". Legacy.com. Retrieved 2012-06-20. ↑ "Bishop Anthony Ekezia Ilonu". Catholic-Hierarchy.org . David M. Cheney. Retrieved 21 January 2015. ↑ CNN Wire Staff (June 17, 2012). "Rodney King dead at 47". CNN. Retrieved June 17, 2012. ↑ "Walo Lüönd ist tot" (in German). tagesanzeiger.ch. Retrieved 28 June 2012. ↑ "R. C. Owens, former 49ers receiver, executive dies at age 77". Sports.yahoo.com. Retrieved 2012-06-19. ↑ Daly, Phil (2012-06-18). "Bernard Prior RIP". Therhinos.co.uk. Retrieved 2012-10-17. ↑ "Transition: PPP MNA Fauzia Wahab passes away". Express Tribune (Pakistan). 17 June 2012. Retrieved 17 June 2012. ↑ "Author Donald Ernest Cameron Charlwood dies". Melbourne: Tributes.theage.com.au. Retrieved 5 July 2012. ↑ "Horacio Coppola dies". Buenos Aires Herald. 19 June 2012. Retrieved 19 June 2012. ↑ Schilken, Chuck (20 June 2012). "Former Laker Dennis Hamilton dies at 68". Los Angeles Times. Retrieved 2012-06-20. ↑ Ahmad, Riaz (18 June 2012). "Target killing: Pashto singer Ghazala Javed, father gunned down in Peshawar". The Express Tribune. Retrieved 18 July 2012. ↑ "Ve věku 79 let zemřela 18. června herečka Eva Klepáčová" (in Czech). Czech News Agency. 20 June 2012. Retrieved 21 June 2012. ↑ Wilson, Andy (22 June 2012). "Surrey's Tom Maynard died of electrocution, say transport police". London: The Guardian. Retrieved 23 June 2012. ↑ "Cremarán cuerpo del Excanciller Edgardo Mercado Jarrín" (in Spanish). Rpp.com.pe. Retrieved 19 June 2012. ↑ ""Έφυγε" ο Παναγούλιας - Ποδόσφαιρο". sport-fm.gr. Retrieved 19 June 2012. ↑ "Senior Yemeni soldier killed in suicide blast". Aljazeera. 18 June 2012. Retrieved 18 June 2012. ↑ "Victor Spinetti, actor and star of Beatles films, dies". BBC News online. 19 June 2012. ↑ "Former Mich. lawmaker Van Regenmorter dies at 73". Michigan Radio. June 19, 2012. ↑ Woo, Elaine (4 July 2012). "Psychologist and activist Judith Wallerstein, described as the 'godmother of the backlash against divorce', dies at age 90". Los Angeles Times. Retrieved July 4, 2012. ↑ Barnes, Anthony (19 June 2012). "Actor Anthony Bate dies aged 84". London: The Independent. ↑ "Veteran producer-manager Gerry Bron dies". Classic Rock Magazine. 20 June 2012. Archived from the original on 29 July 2012. ↑ Nelson, Valerie J. (2 July 2012). "Jim Drake dies at 83; aeronautical engineer created the Windsurfer". Los Angeles Times. ↑ Staff. "Walter Haefner dies, aged 101". Sporting Life. Retrieved 26 June 2012. ↑ "Archbishop Aloysio José Leal Penna, S.J." Catholic-Hierarchy.org . David M. Cheney. Retrieved 21 January 2015. ↑ "PASSINGS: Richard Lynch". Los Angeles Times. Obituaries. 27 June 2012. Retrieved 25 August 2012. ↑ "Tale Ognenovski, Titan Of The Clarinet And Composer Of Clarinet Music, Dies". Mi2N.com. Retrieved 2012-08-25. 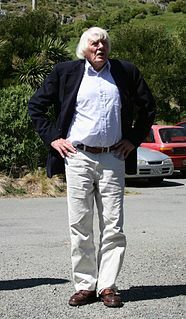 ↑ "Sir Michael Palliser". The Daily Telegraph. London. 20 June 2012. ↑ "HAROLD H. SEWARD obituary". Legacy.com. 2012-06-19. Retrieved 2012-06-30. ↑ Woo, Elaine (June 30, 2012). "Joan Scott, screenwriter who penned scripts for blacklisted husband, dies at 91". The Washington Post. Retrieved June 20, 2012. ↑ "Emili Teixidor passed away". Regrupament International. Retrieved 11 February 2014. ↑ Nelson Lampe (June 20, 2012). "Former Nebraska Gov. Norbert Tiemann dead at 87". San Antonio Express-News. Associated Press. Retrieved June 20, 2012. ↑ Hevesi, Dennis (22 June 2012). "Kevin Tucker Is Dead at 71; Led Philadelphia Police". The New York Times. Retrieved June 25, 2012. ↑ Martin, Douglas (June 27, 2012). "Judy Agnew, Wife of Vice President, Dies at 91". The New York Times. Retrieved June 27, 2012. ↑ "Obit for American anti–nuclear power activist Frieda Berryhill". Legacy.com. 2012-06-20. Retrieved 2012-11-16. ↑ Noland, Claire (21 June 2012). "Oldest serving federal judge dies at 99". KTIV. Archived from the original on June 21, 2012. Retrieved 21 June 2012. ↑ "The Marquess of Londonderry dies". The Telegraph. 20 June 2012. Retrieved 20 June 2012. ↑ "Archbishop Alcides Mendoza Castro". Catholic-Hierarchy.org . David M. Cheney. Retrieved 21 January 2015. ↑ "Der letzte Fürst Reuß ist mit fast 93 Jahren verstorben" (in German). Gera.otz.de. Retrieved 30 June 2012. ↑ "Everest pioneer Mike Westmacott dies". thebmc.co.uk. 21 June 2012. ↑ "J. Michael Adams, university president, dies at 64". philly.com. June 23, 2012. ↑ "Lord Allanbridge dies". The Daily Telegraph. London. Retrieved 26 June 2012. ↑ "Abid Hussain passes away". Deccan Herald. 21 June 2012. Retrieved 21 June 2012. ↑ Staff (24 June 2012). "Sunil Janah, Bengal famine lensman, dies at 96". Deccan Chronicle. Retrieved 25 June 2012. ↑ "Viggo Johannessen". Store norske leksikon (in Norwegian). Oslo. Retrieved 12 July 2012. ↑ "Archbishop Joviano de Lima Júnior, S.S.S." Catholic-Hierarchy.org . David M. Cheney. Retrieved 21 January 2015. ↑ "NIA founder RV Raju passes away". The Times of India. 21 June 2012. Retrieved 21 June 2012. ↑ "Gilbert Blaize Rego, Roman Catholic Bishop Emeritus of Simla and Chandigargh, passes away". mhone.in. Archived from the original on 2016-02-03. Retrieved 2012-07-07. ↑ "Aberdeen F.C. Statement on death of Scottish footballer Teddy Scott". Aberdeen Football Club webpage. 21 June 2012. Archived from the original on 2016-02-03. Retrieved 21 June 2012. ↑ "Former Georgian striker Shengelia dies at 55". visitlagosstate.com. Archived from the original on 3 February 2016. Retrieved 19 July 2012. ↑ Smith, Peter. "Leeds Rhinos mourn try-scoring ace Drew Turnbull". Yorkshire Evening Post. Retrieved 25 June 2012. ↑ "'Kasauti' maestro Obaidullah Baig passes away". The Nation. 23 June 2012. Archived from the original on 2012-06-23. Retrieved 2012-07-07. ↑ "Barry Becher, of Ginsu knives fame, dies at 71" . Retrieved July 3, 2013. ↑ "María Teresa Castillo muere – 103 años dedicados al progreso de Venezuela" (in Spanish). Archived from the original on 2012-07-07. ↑ Hevesi, Dennis (June 23, 2012). "Edward N. Costikyan, Adviser to New York Politicians, Is Dead at 87". New York Times . ↑ "TN Journos Union Chief dead". chennaionline.com. 23 June 2012. Archived from the original on 3 February 2016. ↑ "Mary Fedden, British painter, dies at 96". The Daily Telegraph. London. 22 June 2012. Retrieved 3 July 2013. ↑ "Hall of Famer Fernie Flaman dead at 85" . Retrieved June 23, 2012. ↑ "Bishop Sergio Goretti". Catholic-Hierarchy.org . David M. Cheney. Retrieved 21 January 2015. ↑ "American organic chemist Edmund C. Kornfeld dies at 93". Legacy.com. 2012-06-22. Retrieved 2012-07-06. ↑ "Scottish footballer Jackie Neilson dead (1929–2012)". Saintmirren.net. 25 June 2012. Archived from the original on 12 January 2013. Retrieved 2012-06-27. ↑ Laakso, Ville (25 June 2012). "Kulttuurivaikuttaja Mirjam Polkunen on kuollut" (in Finnish). Yle . Retrieved 26 June 2012. ↑ Wilcocks, Lana; Morison, Alan (22 June 2012). "Phuket and Aussie sailing legend Rolly Tasker dies at 86". phuketwan.com. ↑ "Former Green councillor loses battle with cancer". Cambridge News. 2012-06-22. Archived from the original on 2014-03-16. Retrieved 2013-01-10. ↑ "Magharebia.com". Magharebia.com. 2012-06-13. Retrieved 2012-06-27. ↑ "Marjorie McCallum CHIBNALL obituary". The Times. 28 June 2012. Retrieved 28 June 2012. ↑ "Count Robin de la Lanne-Mirrlees". London: The Daily Telegraph. 25 June 2012. ↑ "Jim Durbin". University College London. 26 June 2012. ↑ "French virtuoso pianist Brigitte Engerer dies at 59". expatica.com. ↑ Venold, Terje (5 July 2012). "Arne Haaland". Aftenposten (in Norwegian). ↑ "Tributes as ex-Hyndburn MP Ken Hargreaves dies". BBC News. 24 June 2012. ↑ "Wisconsin politician Robert G. Marotz dead at 90". Legacy.com. 2012-06-23. Retrieved 2012-06-29. ↑ "Alan McDonald, former Northern Ireland captain, dies suddenly". ↑ "Navajo Code Talker Frank Chee Willeto, ex-tribal VP, dies". ↑ Bigelow, Bruce V. (June 26, 2012). "Remembering Walter Zable and Cubic's Era of Electronics Innovation". Xconomy.com. Retrieved June 26, 2012. ↑ "Padres coach Darrel Akerfelds dies". espn.com. Retrieved 2012-06-25. ↑ Last gay Jewish Holocaust survivor dies. ↑ "Opera singer Jean Cox dead". Bayreuther-festspiele.de. Archived from the original on 2009-08-03. Retrieved 2012-06-26. ↑ وفاة الفنان الكوميدي يوسف داوود عن عمر يناهز 74 عام | (in Arabic). Onaeg.com. Retrieved 25 June 2012. ↑ Steele, Colin (5 July 2012). "English expert helped shape Canberra's cultural life". canberratimes.com.au. Retrieved 26 July 2012. ↑ "Celebrated Punjab folk singer Karnail Gill passed away, cremated in native village". Death news. Ludhiana. Punjab News Express. 25 June 2012. Archived from the original on 28 June 2012. Retrieved 26 July 2012. ↑ Michael Coveney (3 July 2012). "English actor James Grout dies". The Guardian . London. Retrieved 3 July 2012. ↑ "1952 Olympian Ruth Grulkowski passes away". Usagym.org. 2012-06-30. Retrieved 2013-02-01. ↑ "Chinese mathematician Gu Chaohao dies at 87". chinadaily.com.cn. Retrieved 24 June 2012. ↑ "Suri olümpiahõbe Heino Kruus" (in Estonian). Sport.postimees.ee. Retrieved 25 June 2012. ↑ Jones, Bryony (25 June 2012). "Lonesome George, last of the Pinta Island tortoises, dies". CNN. Retrieved 26 June 2012. ↑ "Miki Roque passes away". Sky Sports. 24 June 2012. Retrieved 24 June 2012. ↑ Scott Sandlin. "Ann C. Scales, Law Professor, Feminist Scholar, dies". Abqjournal.com. Retrieved 2012-06-26. ↑ "Weihbischof Rudolf Schmid im Alter von fast 98 Jahren verstorben" (in German). Bistum-augsburg.de. Retrieved 25 June 2012. ↑ "Décès du P. Claude Sumner, SJ" (in French). Jesuites.org. Archived from the original on 2013-07-24. Retrieved 2012-09-23. ↑ "元最高裁判事の団藤重光氏死去＝刑法学の権威、死刑廃止訴え". Jiji.com. 2012-06-25. Archived from the original on 2014-02-01. Retrieved 2012-06-25. ↑ "The Man From Uncle producer Norman Felton dies at 99". BBC News. July 5, 2012. Retrieved July 5, 2012. ↑ "Knesset Member, Itshac Galantee". Knesset.gov.il. Retrieved 3 July 2012. ↑ "Jockey Campbell Gillies dies on holiday". ESPN.co.uk. 26 June 2012. Retrieved 2012-06-26. ↑ Hevesi, Dennis (2012-06-26). "George R. Hearst Jr., media titan's grandson, dies". NY Times. Retrieved 2012-06-26. ↑ Ушел из жизни Олимпийский чемпион по гребле на байдарках и каноэ Вячеслав Николаевич ИОНОВ (in Russian). Russian National Federation of Rowing and Canoeing. 2012-06-26. Archived from the original on 10 August 2012. Retrieved 26 June 2012. ↑ "Lucella MacLean obituary". Aagpbl.org. Retrieved 2012-07-10. ↑ Deas, Tommy (5 July 2012). "Remembering the 'Mad Dog'". The Tuscaloosa News . Archived from the original on 16 January 2013. Retrieved 6 July 2012. ↑ Reiter, Florian. ""All Joy Wants Eternity": Doris Schade Dies". goethe.de. Retrieved 9 July 2012. ↑ "Sverker Åström har avlidit" (in Swedish). Expressen. 26 June 2012. Retrieved 26 June 2012. ↑ "Olympian Daniel Batman killed in car crash". abc.net.au. 26 June 2012. Retrieved 26 June 2012. ↑ "Preminuo akademik Miloš Blagojević" (in Serbian). Mondo.rs. 2012-07-02. Retrieved 2 July 2012. ↑ Former Knicks player Pat Cummings found dead. WABC. June 26, 2012. Retrieved on June 26, 2012. ↑ "Bishop Angelo Cuniberti, I.M.C." Catholic-Hierarchy.org . David M. Cheney. Retrieved 21 January 2015. ↑ "Ann Curtis Cuneo Obituary by Marin Independent Journal". Legacy.com. Retrieved 2012-07-03. ↑ "Murió Dyrzka, record argentino de 400 metros con vallas" (in Spanish). Telam. 26 June 2012. Archived from the original on 11 October 2014. Retrieved 26 June 2012. ↑ "Berowra politician Harry Edwards dead at 85". ↑ "Nora Ephron, screenwriter behind When Harry Met Sally, dead at 71". Archived from the original on January 30, 2013. Retrieved June 26, 2012. ↑ "Harry William Kvebæk". Store norske leksikon (in Norwegian). Archived from the original on 2 December 2015. Retrieved 4 August 2012. ↑ Deutsch, Claudia H. Harry Levinson, Psychologist for the Workplace, Dies at 90, The New York Times, June 27, 2012. ↑ "International face of wool industry" (PDF). Archived from the original (PDF) on 2016-03-04. Retrieved 2016-12-16. ↑ "O'Hara dies of leukemia". June 26, 2012. ↑ "Actress Doris Singleton dies". variety.com. 27 June 2012. Retrieved 2012-06-28. ↑ "American attorney and politician Risley C. Triche dead at 84". New Orleans Times-Picayune. Retrieved June 27, 2012. ↑ "Bishop Jerónimo Tomás Abreu Herrera". Catholic-Hierarchy.org . David M. Cheney. Retrieved 21 January 2015. ↑ "Elhunyt Berényi Dénes atomfizikus, az MTA rendes tagja". ↑ "Felixstowe: Tributes paid to former Olympian Stan Cox". Eadt.co.uk. Retrieved 2012-06-30. ↑ Steger, Jason (28 June 2012). "Rosemary Dobson, enduring voice of Australia, dies". Sydney Morning Herald. Retrieved 28 June 2012. ↑ "Death of actor Don Grady, My Three Sons' Star". Deadline.com. Retrieved 2012-06-28. ↑ "Former Miami Dolphins president Eddie Jones dead at 74". Sun Sentinel. Retrieved 2012-06-30. ↑ "В Молдове скончался экс-игрок "Черноморца"". June 27, 2012. ↑ Απεβίωσε ο πρώην υπουργός Κώστας Τριαρίδης (in Greek). news.in.gr. Retrieved June 27, 2012. ↑ Baltic News Service (2012-06-27). "Mirė signataras A. V. Ulba" (in Lithuanian). Lietuvos rytas. Archived from the original on 2012-06-28. ↑ Adrian Martin (12 July 2012). "Stephen Dwoskin obituary guardian.co.uk". London: Guardian. Retrieved 2012-07-15. ↑ "Musik an der Schnittstelle von Kulturen" (in German). Nzz.ch. 2010-11-23. Retrieved 2012-07-06. ↑ Grady, Denise (2012-11-07). "Richard Isay, Fought Illness Tag for Gays, Dies at 77". NYTimes.com. Retrieved 2012-11-11. ↑ Martin, Douglas (29 June 2012). "Ivan Karp, Pop Art Dealer, Dies at 86". The New York Times. Retrieved June 29, 2012. ↑ "Leontine Kelly Dead: African-American United Methodist Woman Bishop Dies At 92". Huffington Post. 30 June 2012. Retrieved June 30, 2012. ↑ "League News". www.essexcricket.com. Archived from the original on 25 June 2012. Retrieved 3 July 2012. ↑ Martin, Douglas (July 7, 2012). "Dr. Gabriel G. Nahas, Marijuana Opponent, Dies at 92". The New York Times. ↑ "Décès de l'écrivain Robert Sabatier à l'âge de 88 ans" (in French). Leparisien.fr. Retrieved 2012-06-28. ↑ "Canadian lacrosse player and coach Chris Sanderson passes away". ilindoor.com. Archived from the original on 2014-07-07. Retrieved 2012-06-28. ↑ "Doris Sams, 85, was a women's pioneer in baseball". knoxnews.com. Retrieved 2012-07-01. ↑ Levin, Jay (9 July 2012). "Norman Sas, inventor of Electric Football, dies at 87". Los Angeles Times. Retrieved July 8, 2012. ↑ "Former Blackbird Herb Scherer Passes Away". liuathletics.com. 2012-07-03. Retrieved 2012-07-29. ↑ "Εφυγε" Ο Μεγαλοσ Ηθοποιοσ Φαιδροσ Στασινοσ (in Greek). Showbiz.com.cy. Archived from the original on 2012-09-02. Retrieved 2012-09-17.